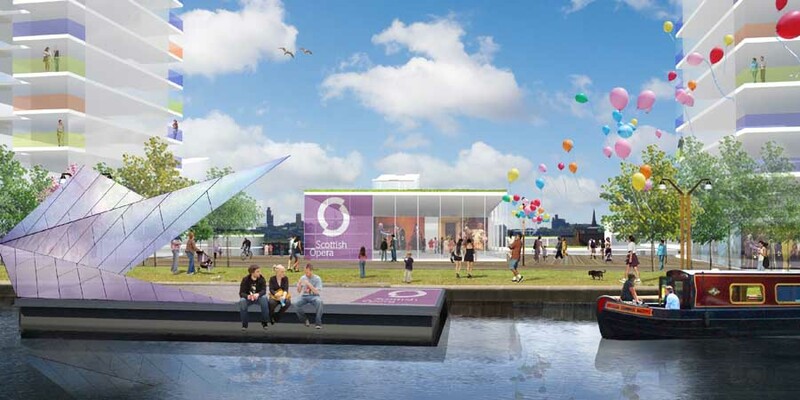 The brief and outcome of the masterplan was prepared by the Canal Regeneration Partnership (a Joint Venture Partnership between Glasgow City Council and ISIS Waterside Regeneration, supported by British Waterways Scotland) working with local residents and stakeholders. The aim of the consultation was to build a consensus around the regeneration of the area through the engagement of local residents and stakeholders. The Spiers Lock Masterplan aims to reconfigure the area into a mixed-use location (two million square feet of floorspace) offering increased levels of employment and services, an attractive residential environment and improved public realm, with the canal as the focus of the neighbourhood. Positive change has already begun in the area, with the National Theatre of Scotland moving into the Civic Press building, a significant hotel (and hotel training development) moving in, with Scottish Opera remaining in the area. The masterplan will be used as the basis for partnership working with other agencies. Councillor Philip Braat, Deputy Executive Member for Business and the Economy at Glasgow City Council, said: “The award is a great achievement and is the culmination of successful partnership working between Glasgow City Council and the private sector. “The commitment and dynamic team working of all partners will ensure an enduring and tangible impact on the local community. 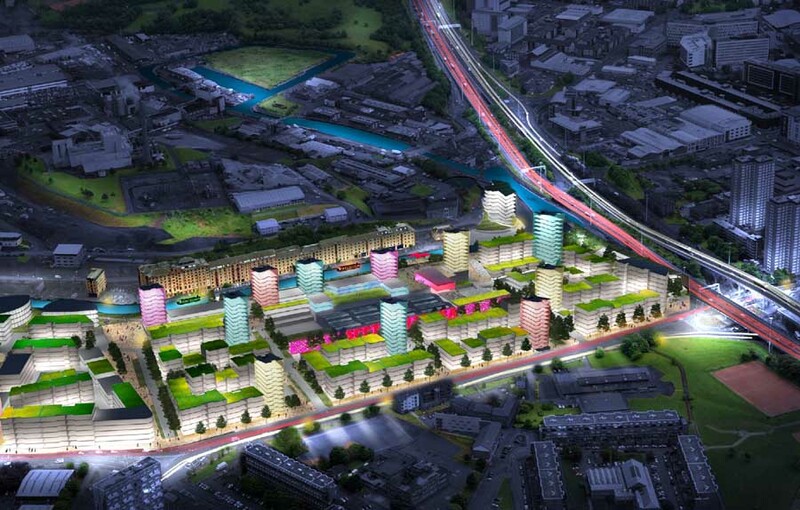 The Spiers Locks Masterplan Framework will undoubtedly be a catalyst for the regeneration of the area. Steve Dunlop, Director Scotland at British Waterways added: “We are delighted Spiers Locks was recognised with the top prize. “We aim to create thriving canalside environments, bringing benefits to the people for generations to come and Spiers Locks is a prime example of this work. “The design encompasses the uniqueness of the canal’s rich past, history and heritage, and also includes the current needs of the community and local businesses – it is an excellent model of collaboration between organisations. Speaking on behalf of the Glasgow Canal Partnership, Gary Watt from ISIS Waterside Regeneration said: “This award is a ringing endorsement of the hard work by the entire Glasgow Canal Partnership to transform the historic Spiers Locks area into a new canal-side city neighbourhood centred around culture and performing arts. “We may only be at the start of our journey but already we are seeing progress, with leading arts organisations including the National Theatre of Scotland, Scottish Opera and GAMTA already resident in the area. One of Glasgow’s most outstanding and historic canalside locations is set to be transformed into a community focused, cultural hub which will be the pride of the city for generations to come. Following an intense 10 month engagement programme involving over 300 people, a preferred masterplan has now been created by the Glasgow Canal Regeneration Partnership (GCRP) for the area around Speirs Locks which reflects both the unique setting and rich 200 year heritage of this very special waterside environment. The £100 million project, which will be unlike any other development in the city, will see the transformation of approximately 30 acres around the canal into a place where hotels and businesses mix easily with homes and community, where children are encouraged to play in safe streets and where jobs and business opportunities will be created. 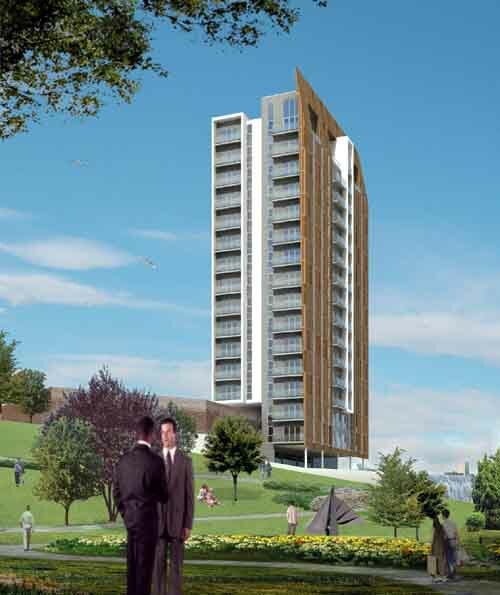 In the preferred design proposal low to medium rise green roofed ‘terraces’ sweep across the length of the site, positioned to maximise daylight and sunlight to gardens between the buildings. The first phases of the proposed mixed use scheme include the creation of approximately 100,000 sqft of offices, 250 homes – including apartments and the opportunity for some canalside townhouses – a hotel, shops, workspaces and studios, community facilities and child friendly spaces, all set around a canal brought back to life with new moorings, more boats and a year round series of activities and events. A key element of the proposal is the re-creation of a link which would allow residents and visitors to travel safely between the waterway in the north of Glasgow and the city centre once again. Safe and easy walking routes to local shops and amenities will ensure that car use is kept to a minimum. Speirs Locks is one of the highest profile and most visible locations in Glasgow and with its elevated position the site has the potential to become a ‘Balcony for the City’. A mix of residential, commercial, leisure and canal uses would combine to make this a truly inclusive location with a unique canalside identity, to be enjoyed by local communities and visitors from across the city and beyond. Already the presence of Scottish Opera and GAMTA (Glasgow Academy of Music Theatre Arts) have identified this place as a culturally significant location within the city and the partnership is now keen to build on the creative energy which already exists to create a culturally rich environment which will attract other high profile arts organisations to the area. 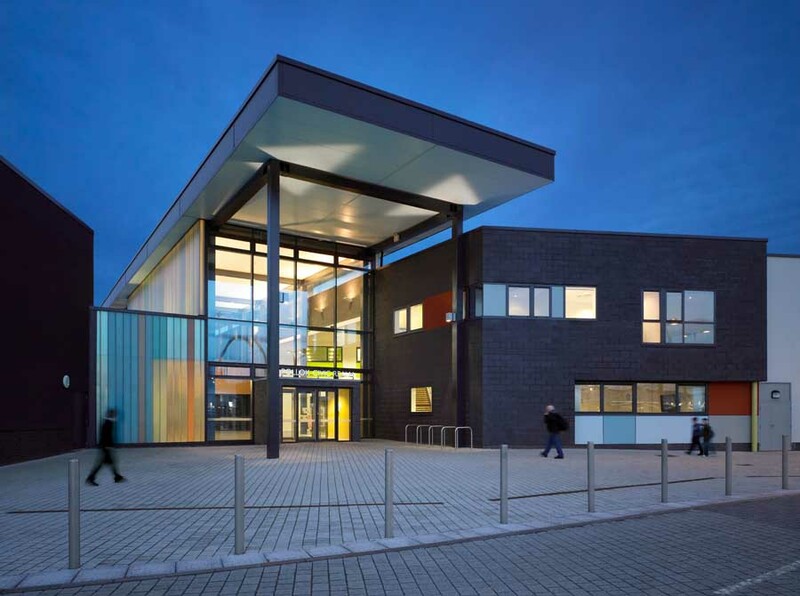 The masterplan proposal follows an extensive 10 month community engagement exercise which included 10 public meetings and involved the development of a close working relationship with local residents, businesses and school children to produce the plans. Commenting on the proposal Gary Watt from the Glasgow Canal Regeneration Partnership said: “A unique location like this requires a regeneration approach to match. We want to create places that existing canalside communities have helped to shape and which they feel proud of, places where residents can mix with tourists and businesses to enjoy the unique waterside environment. The development will combine art, water, landscape, views and contemporary architecture, all positioned around and responding to the setting provided by the impressive listed warehouses of Speirs Wharf. In line with this the partnership has worked hard to create a design option which incorporates distinctive energy conscious buildings which contribute to the city skyline, and with taller buildings carefully positioned to retain the impressive views in to and out of the site. Aside from the main masterplan activity, the Partnership – with funding support from the Scottish Government and Scottish Enterprise Glasgow – has also been integrally involved in delivering a series of associated projects across the canal corridor. A new canal basin was completed at Port Dundas in 2006 and a dramatic new lighting scheme has recently been installed at the site. A landscape link is now being developed from the canal at Speirs Locks to the city centre which would allow both residents and visitors alike to sample two very different, but equally stimulating experiences, contrasting the hustle and bustle of a truly international city centre with a relaxing canalside setting where you can delight in awe inspiring views over the city skyline. A series of events on the canal corridor have also provided a focus for community activity over the past few months and plans are being progressed for dragon boat racing on the waterway later in the summer and a spectacular canal festival at Maryhill Locks in October. The masterplan proposal, which has been created by GCRP following a series of community focused events, has been facilitated by a team made up by Make Architects, landscape designers Rankin Fraser, artists KOAN3 and specialist regeneration consultancy Kevin Murray Associates. In the coming weeks the Partnership aims to refine the preferred design option prior to submitting the masterplan to Glasgow City Council later in the summer. Full details of the masterplan can be found on the Partnership’s website at www.glasgowcanal.co.uk.